You can pay by US dollars in most Cambodian cities, while in some places, even Thai baht is accepted. 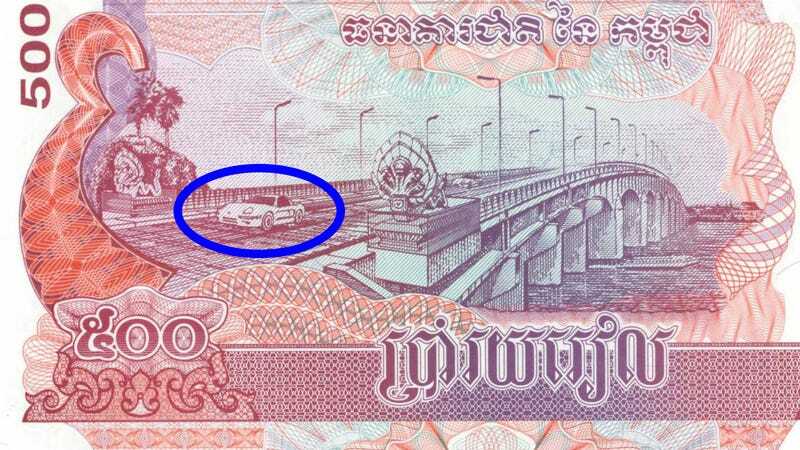 Still, if you want to do your shopping in style, get a fat stack of 500 Riel notes with a Porsche on their back. But what kind of Porsche is that? Well, the front says 997 911, but the rest says Cayman. Except that nobody knew how the Cayman will look like when these notes were issued in 2004. I would say it's a 911 messed up by the artist by accident, or in order no to get into any legal trouble with the Germans. It's better to be on the safe side.